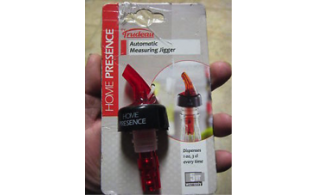 Automatic measuring jigger dispenses two ounces of wine every time. 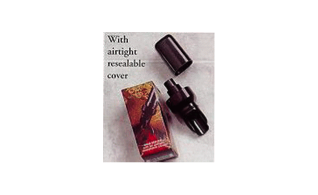 Bottle Stoppers are 100% leak proof and seals your bottle from the inside and outside. 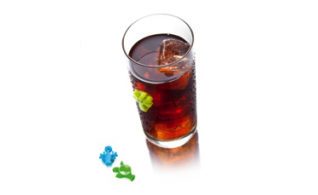 Bowtie bottle charms class up your glass and helps identify guests drinks. 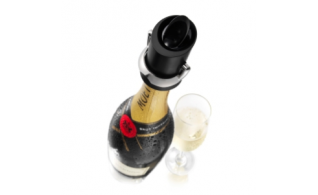 Champagne saver and stopper, helps preserve taste and bubbles after opening and eliminates dripping when serving. 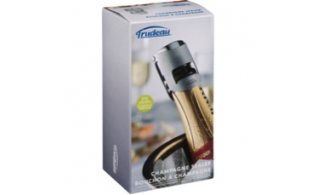 The Trudeau champagne stopper seals bottles completely and has a 5 year warranty. 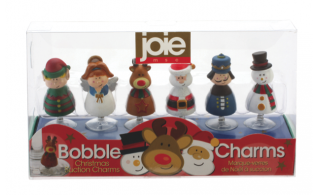 Christmas bobble suction charms to help identity each guests drinks at holiday gatherings. 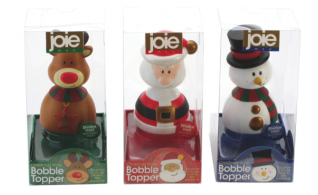 Christmas wine bobble toppers to top off your gift of wine for the holiday season. 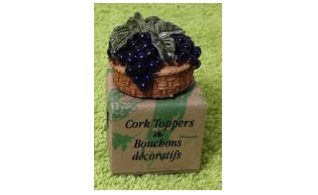 Cork topper fits most 750 ml bottles and is a decorative sealable cork. 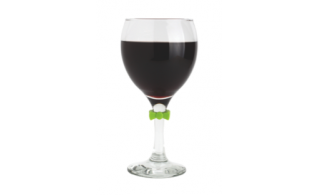 Crystal wine servers are non drip so there is no mess and wine pours out smoothly. Duo Tone floral wine charms add a little charm to your get-together. 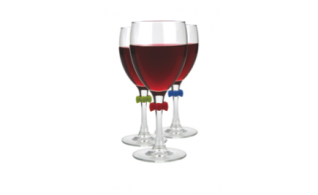 They have a 5 year warranty and adjustable to fit any stemware. 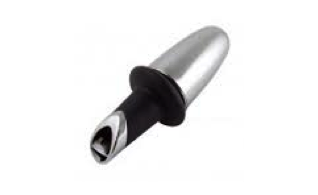 Expandable wine stopper that seals your wine bottle. Available in black. 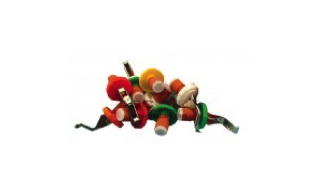 Expandable wine stopper and sealer that is available in green, white red or yellow. 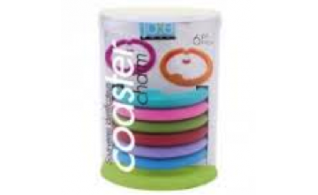 Glass coaster charms that comes in different colours help identify each guests' wine glasses. 12 unique characters that suction to a smooth surface to help identity each guests' drink. 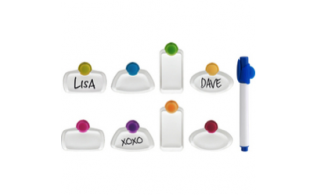 Glass tags help identify your glass or wine decanter by writing your name on it. 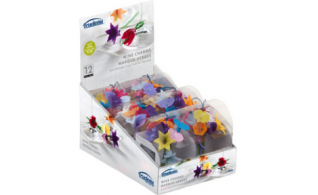 Hat bottle topper with bowtie charms to identify guests' drinks. 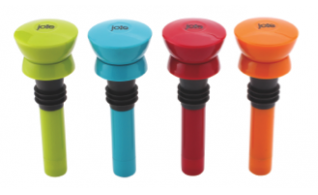 Joie leakproof expandable seal and bottle topper can be inserted into any size bottle and available in multiple different colors. 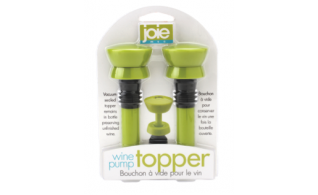 Joie wine pump topper is a vacuum sealed topper that remains in bottle preserving unfinished wine. 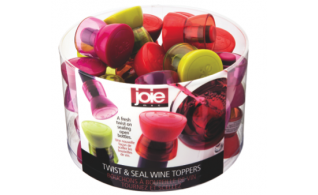 Joie wine pump topper is a vacuum sealed topper that remains in the bottle preserving unfinished wine. Sparkling wine server for re-sealing wine and enriching sparkling tones. 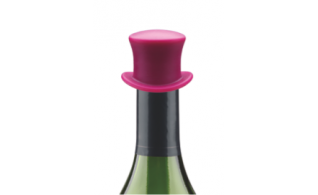 Top hat bottle topper classes up your wine bottle and seals in airtight freshness. 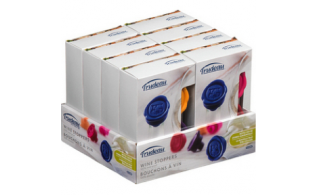 Twist & Seal wine topper with a fresh twist on sealing open bottles. 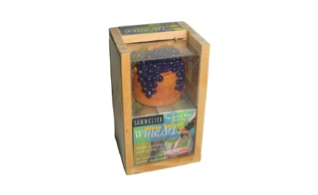 Wine server and topper that fits most 750 ml bottles and makes serving part of the art. 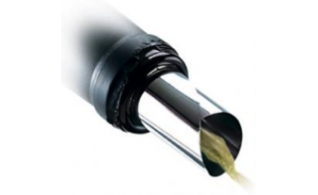 The wine server disc rolls right into the wine bottle and is an anti drip server. 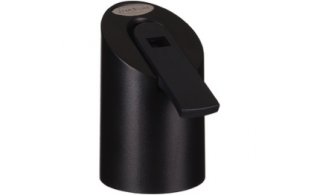 Wine server pourer is airtight so it eliminates any drips while serving.